Tripping and Stumbling while following Jesus: The death of the "American" church. The death of the "American" church. “Watch out for false prophets. They come to you in sheep’s clothing, but inwardly they are ferocious wolves. By their fruit you will recognize them. Do people pick grapes from thornbushes, or figs from thistles? Likewise, every good tree bears good fruit, but a bad tree bears bad fruit. A good tree cannot bear bad fruit, and a bad tree cannot bear good fruit. Every tree that does not bear good fruit is cut down and thrown into the fire. Thus, by their fruit you will recognize them. Syncretism is the combining of different, often seemingly contradictory beliefs, while melding practices of various schools of thought. Syncretism involves the merger and analogizing of several originally discrete traditions, especially in the theology and religion, thus asserting an underlying unity and allowing for an inclusive approach to other faiths. Syncretism also occurs commonly in expressions of arts and culture, as well as politics. Sectarianism/Sect is a subgroup of a religious, political or philosophical belief system, usually an offshoot of a larger religious group. Although in past it was mostly used to refer to religious groups, it has since expanded and in modern culture can refer to any organization that breaks away from a larger one to follow a different set of rules and principles. How's that for some 50 cents words? When it comes to the church and missions, what those terms mean in English is that Syncretism occurs when the church is co-opted by the greater culture around it, and becomes virtually identical. 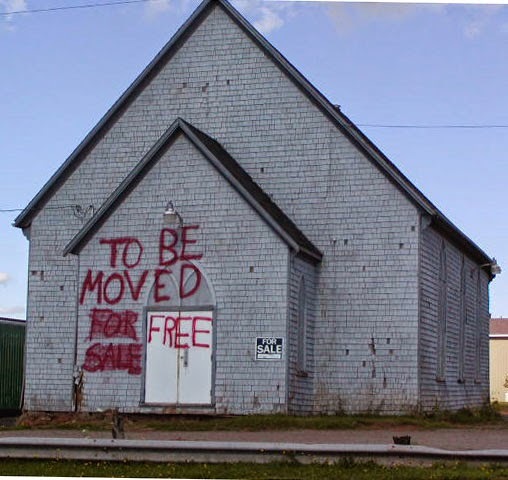 Sectarianism occurs when the church self-segregates into a fortress and/or ghetto of it's own design. Both are really, really bad!!! A day or so ago, this story ran on NPR. The Pew survey found what anyone paying attention already knew. America is becoming more and more secular. People identifying as "Christians" are on the decline. This morning I woke up to some interesting responses. The first post is written by a fairly conservative evangelical. The second is from the perspective of someone a bit more liberal. I like them both. America is no longer a "Christian Nation." I would argue that this is great news for the church in America! Before you are inclined to hit me with a bat, let me make a few things painfully clear; I LOVE this country! I am fortunate and blessed to have been born here. I've lived in and visited other countries, and I understand very well how good we have it here. I believe that America is largely a force for good in the world. Like I said, I love this country. America never has been, nor will ever be a "Christian Country." It is not biblically or theologically possible for any kingdom of man to be a "Christian Nation." It is irrelevant what any founder of any country thinks or wishes. There is only one "Christian Country," and that is Jesus' kingdom. The various countries of Europe thought that they were christian nations. That's why they tied the various denominations to the power of the state. 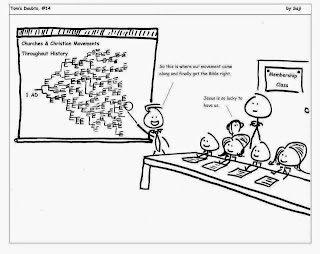 Then they promptly persecuted and went to war with those who were of different denominations. Hurray!!! The result today is that Europe is, at best, agnostic, if not down right atheistic. I lived in the Czech Republic for a while. It was there that I met my first real atheists. (I'm used to the pop phenomenon brand of atheism in the U.S., and I find it to be not very well thought through.) The Czechs bore a huge brunt of the various religious wars back in the day. When the Hapsburgs ruled them, they used the catholic church as enforcers. So, is it any wonder that the Czechs would be a bit skittish about religion? Here in the U.S. I hear people say that the Fathers of our country founded America on biblical principles. I think that would come as a surprise to Thomas Jefferson and the rest. While a few of them certainly were Believers. 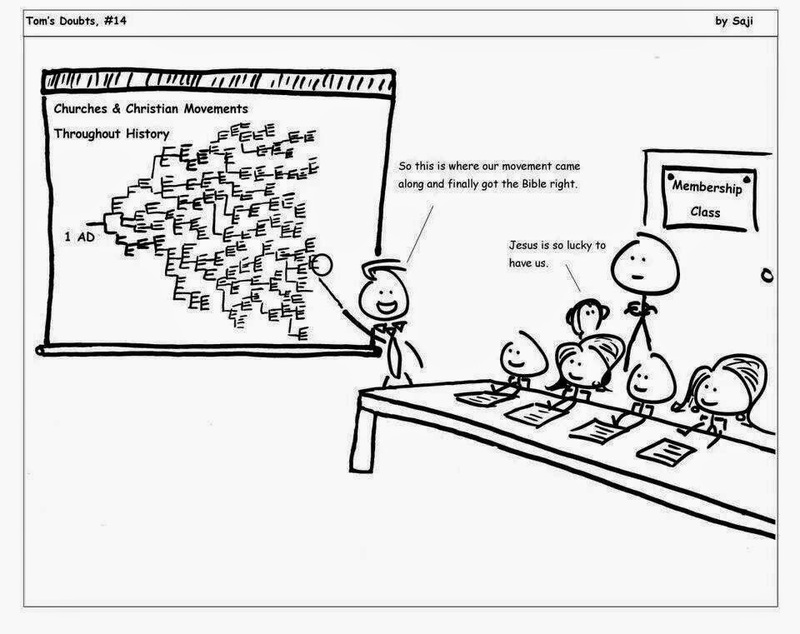 Most of them were simply Deists/Theists. That was the school of thought at that time. "Sure, there is a god. He got everything going and is now off doing something else." The Founding Fathers were products of the Enlightenment. That's what they based the Constitution on. Not the bible, I can promise you that. But a lot of people like to pretend. 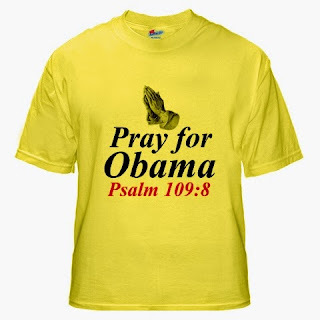 The Americanized church has bought into the mythology of this being a christian nation. As a result, it has allowed itself to be co-opted by secular, more often than not Right-wing, politics. Politicians aren't always stupid. If they can get votes by spraying a little Jesus-gloss on their platform, they'll do it. And the sheep will follow. So, the Americanized church sells itself to the idolatry of a national myth and has achieved synchronization with the general culture. Now that it has sold itself, it then goes in to a form of sectarianism and creates an Us vs. Them mentality. I can't even remember how many times people assume I am a far-right, so-called Conservative simply because I am a Christian. I've seen more than a few stunned looks when I tell them I am strictly independent. Even more when I tell them that I kinda like President Obama. "I thought you Christians hated his guts. I've seen your T-shirts calling for his death." < - Like this one. Makes me wonder who's making a few bucks off of that in the name of Jesus. They're correct about praying for our leaders. But I could think of some better verses to cherry pick. When people automatically make those assumptions about Christians, something is terribly wrong. That is NOT good news for the Gospel. The Good News of Jesus must speak into every situation and culture, including this one. It is the salt and light of the world. It must never allow itself to become mired in the fallen cultures of this world. So why is all of this good news for the church? The Americanized church is dying!!!! That is great news for the body of Christ. What I find fascinating is that due to them being so deeply involved in this type of synchronized sectarianism, they can't see that they have rendered themselves and the Americanized church largely irrelevant. At best, they can preach to the choir. But they can't speak into the culture at large. No one is interested in what they have to say because they already know what it is. The simple fact is that the Americanized church IS irrelevant! And that is wonderful news for the Gospel. Christians have always been, and always will be a minority in any and all countries. You can splash all the magic water you want on a person. You can vote for the approved candidate. You can sit in a pew and sing all of the gospel songs you want. You can even be born in a "Christian Country." None of that means you actually follow Jesus!!! If it is not a position of your heart, rejoicing in the grace and mercy that Christ has extended to you, then it doesn't mean a thing. As the Americanized church continues it's slow, noisy death, the true church will continue to overcome the gates of hell. It is an offensive force. It does not cower behind political platforms, and it does not submit itself to any nation. The Americanized church lost the culture wars when it fired the first shot. The body of Christ is already victorious. It is well beyond time for Christians living in America to take the blinders off. We have always been a minority. Stop worrying about the secularization of the U.S. It's always been a secular country. Stop worrying. Instead, know who you are. We are children of the victorious king. We start as sinners saved by grace. We end as the righteousness of Christ. Our mission is to spread that news as an invitation to everyone. That's the Gospel. That's good news. So is the death of the American church.